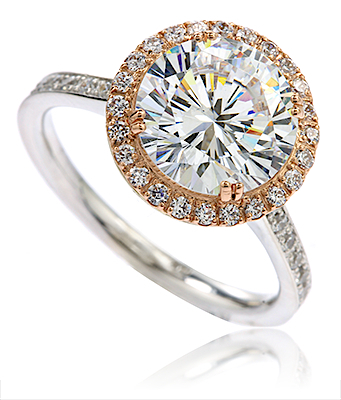 The 2.5 Carat Fierra Halo Round Micro Pave Cubic Zirconia Engagement Ring features a 2.5 carat round 9mm cz center highlighted by a halo of prong set rounds. 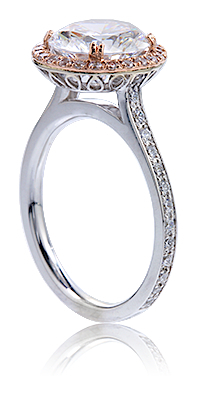 Micro pave set round cubic zirconia are set 3/4 of the way down each side of the shank. 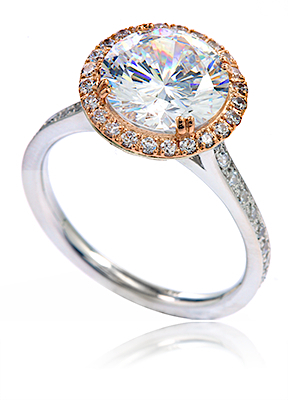 The Fierra Halo Round Cubic Zirconia Engagement Ring is pictured with a rose gold halo of micro pave set rounds that accentuates the center. 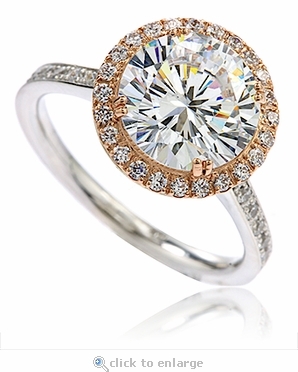 The Fierra Halo Round Cubic Zirconia Engagement Ring includes over 4 carats in total carat weight and the band measures approximately 1.75mm in width.